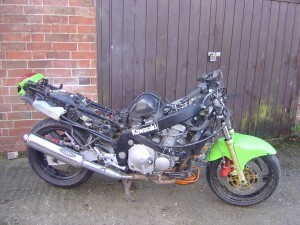 Good Afternoon today we are breaking a Kawasaki ZZR600 Motorcycle this is a police recovered motorcycle so we are unable to sell the frame as it is required to be destroyed by law. 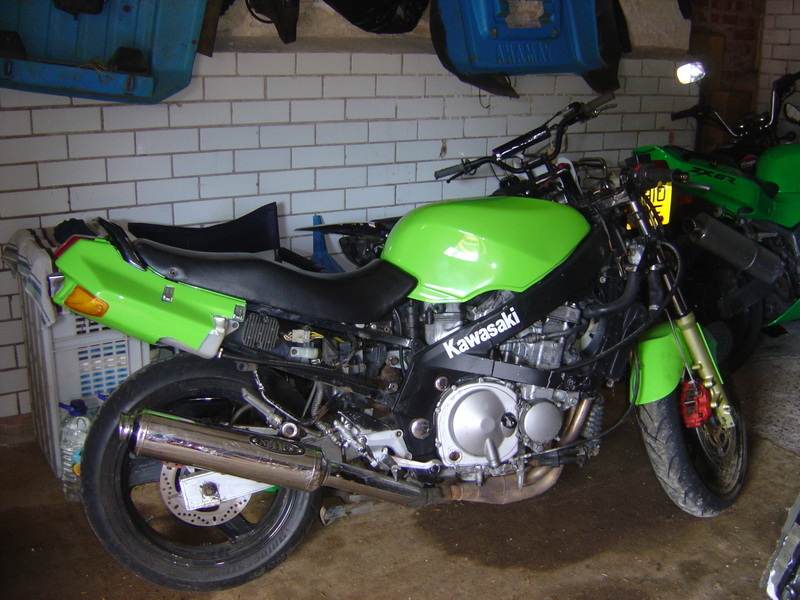 We are selling the Kawasaki ZZR600 Engine , Carburettor, CDI Unit, Front wheel, Rear wheel, Swinging arm, Rearshock absorber, Fork legs, Brake caliper, Brake master cylinders, Exhaust pipe, Fuel tank, Seat, Centre Stand, Panels, Rear Light Unit, Rear Mudguard. We have many other Kawasaki spare parts for sale please email breaker@motor-bike-breakers.co.uk or Telephone 07976 246879 to check availability. Welcome to motor-bike-breakers.co.uk we specialize in breaking motorcycles, We break and dismantle whole motorcycles and our used motorcycle spares stock includes alternators, brake parts, engine spares, exhausts, forks, frames, plastics, wheels, and much more! We purchase all types of motorcycle for breaking. 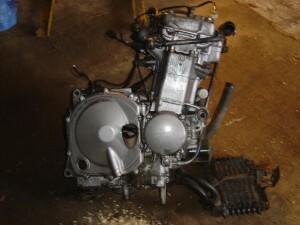 We will consider all makes, models and ages of motorbike. We will collect motorcycles for breaking from the West Midlands, Warwickshire, Oxfordshire, and Northamptonshire and other areas please email pictures to breaker@motor-bike-breakers.co.uk or ring to arrange a quote for your motorbike.